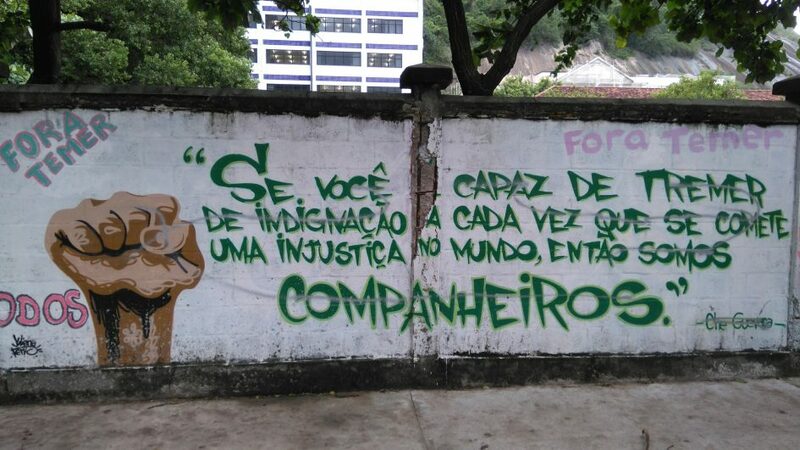 Graffiti on a wall saying: "Se você é capaz de tremer de indignação a cada vez que se comete uma injustiça no mundo, então somos companheiros." The cruel irony of current migration crises along conflict, labour, and environmental lines is that the dire situations prompting people to leave their homelands for receiving countries are by and large resultant of political, economic, and military incursion from those same receiving countries in the very first place. Chandra Talpade Mohanty gets REAL in their dissection of empire when reminding us that the “checkbook and cruise missile” have always been the most effective and devastating tools of the globalization machine. As Canada, the West, and the Global North continue to seek an expansion of influence in the Global South, this only becomes clearer. Indeed, our complicity in the global refugee crisis is even more shocking as our ignorance to it. Much has been made about the motivations of migrants and refugees, that dire situations expressed are not always so dire, that sometimes the reward seems worth the risk. But for the work, I’ve come to see these motivations as irrelevant, and their dissections merely the insidious influence of a neoliberal agenda bent on absolving itself of the burden of care. Truthfully, like my colleague Charlotte says, we cannot “pretend to understand one way or another the various, complicated reasons that would inspire people here to leave their homes.” The world remains too complex to simply be split into Global North and Global South, complete with stereotypical ideas of what the latter’s poverty, violence, and other conditions “justifying” flight are supposed to be like. Such a binary erases the realities of oppression and imbalances of power that exist transnationally, in every society, every nation. We will never know what causes a person to feel fear or seek opportunity and ultimately, I don’t think we need to. The necessity of care and responsibility to afford all people the means to life and dignity doesn’t discriminate between those who came by their situations honestly or dishonestly. As I continue to travel and work and do life in and with communities around the world, including in Canada, it becomes all the more clear that suffering is suffering and need is need. For this work, then, we cannot become too preoccupied, as we are now, with debating whether or not someone’s home is really the mouth of a shark. What is more pressing is that they have found themselves inside of another one. Hi friends, thanks for visiting!  I'm Chris, a graduate student in social work at the University of Victoria with a focus in transnational migration and citizenship theory. Through the generous support of CAPI, I'll be spending the next seven months in Kuala Lumpur, Malaysia working with the Malaysian Social Research Institute (www.msri.org.my). Feel free to follow this blog for updates, and don't hesitate to comment or get in touch if you want to hear more about what's happening in KL!